Last week, Hispano Suiza revealed its new supercar: the Maguari HS1 GTC. Due to enter production later this year, the Maguari is powered by the Lamborghini Huracan’s twin-turbo V10 and produces over 1,000 hp. This isn’t the only model that will revive the Hispano Suiza name, however. 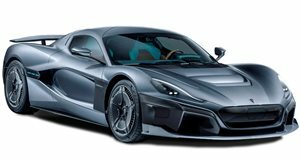 While the Maguari is being produced by a company called Hispano Suiza Automobilmanufaktur AG, another company called Hispano Suiza Cars is developing the all-electric Carmen. Both companies claim to own the rights to the Hispano Suiza name and both models will be displayed at the 2019 Geneva Motor Show.